Really, who doesn’t love to gush and coo over baby things? Because, when it comes to baby things, they can never be too soft or too cute, like those found at West Coast Baby. Based in Vancouver, B.C., and founded by mommies (naturally), their designs are simple, darling, comfy, cozy, sweet. Loving everything in their collection, particularly their layette. You’ll be so happy to get your next baby shower invitation, because you’ll be dying to give something from West Coast Baby. 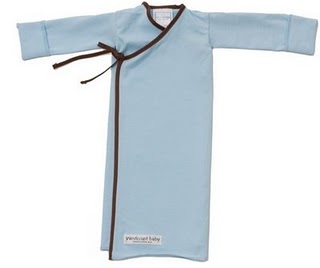 My favorite: infant kimono wraps, a stylish take on the oh-so-functional infant gown. Modern, very soft, a wee bit stretchy, and ideal for those first newborn weeks when diapering is a very frequent occurrence and quick access is critical. (Alma, take note!) It’s just right. Another pick? The Kimono PJs. The hip kimono styling is ultra functional, and the prints in this collection are irresistible. Betcha can’t pick a favorite from these soft, custom made cuties. Wouldn’t you love to see these in your own size? I know I would. West Coast Baby is currently offering 20% off all purchases for a limited time. i stumbled upon your blog via i-dont-know-where (i think it was mormon mommy blogs), but i love it! i hope you don’t mind, but i am kinda stealing your reindeer food idea. hey, your ideas are great…i love it here at petitelefant! thanks for the inspiration! 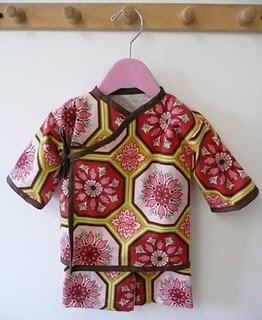 love the ginger kimono pjs…do they make them in a size big enough for me? ?